My grandmother, Bernice Scarr, was a reporter for the Elizabeth Daily Journal in the 1940's. Hello,my name is Timothy Robert Kollock and I am a (greatx? )grandson of Shepard Kollock and all of us here in Wisconsin have been very proud of him and his contributions to the Revolutionary war efforts.We also talked of his brother Simon Kollock who became a captain in the British army and the fact that they were never to speak to each other again! There is a book written about him titled Shepard Kollock -Editor for Freedom. 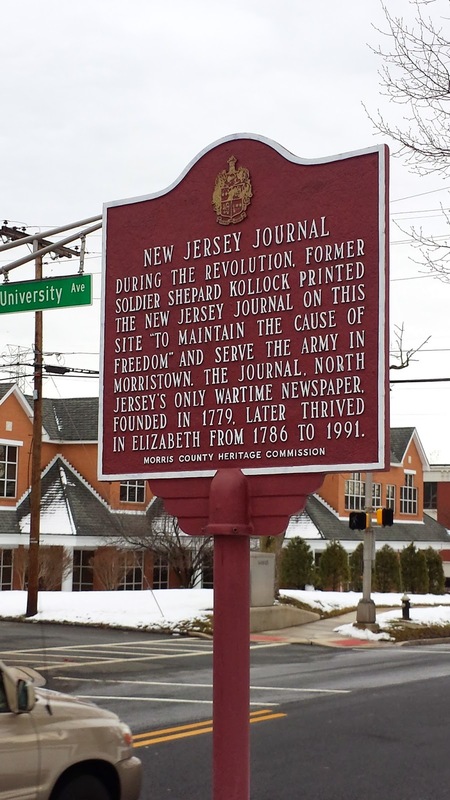 If you ever make it to New Jersey, please let us know - we can direct you to where Shepard is buried, not far from the last offices of the Daily Journal in Elizabeth.